Zone Base: You see, he kicks. 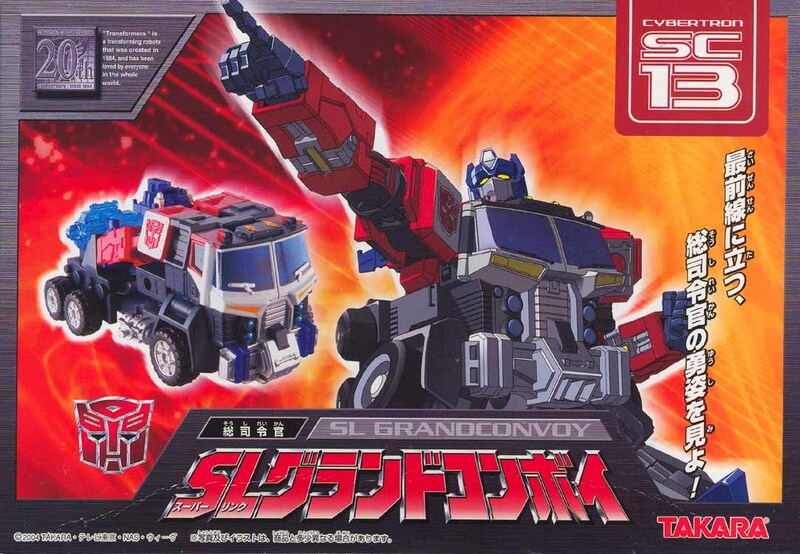 While the cartoon at times felt like a fever dream, I absolutely loved Energon in comics and on tv. In fact I was a big fan of the Unicron Trilogy as a whole. 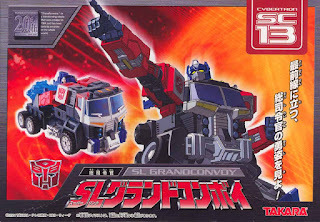 Just like any incarnation of Transformers (past, present, future, whatever), it had it's detractors (surprise, surprise). Personally I had a ball with it. Following the events of Armada, Energon was a jump forward into the future. Alpha Quintesson was utilizing his huge Terrorcon army led by Scorponok to take all the energy they could (by force!) to revive Unicron (whose corpse they were floating around in). Megatron gets revived and brings his Deceptions into the fray (because there wasn't enough going on already). 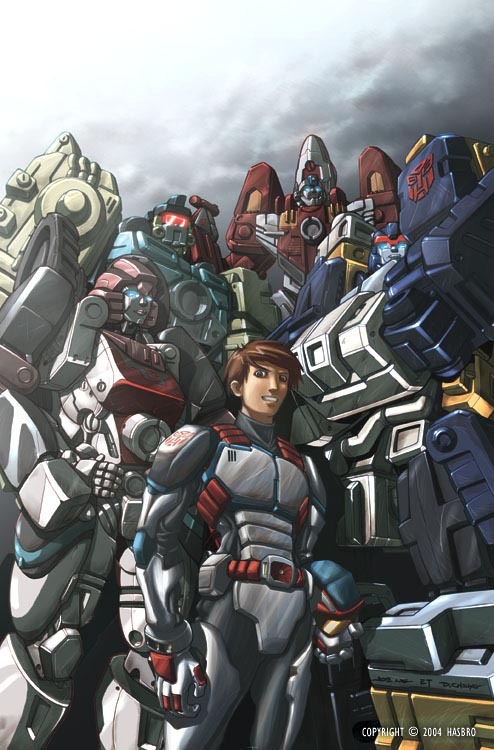 Optimus Prime and the Autobots were left with the only choice they ever have, go save the day! But this time with combination powers giving them a much needed power boost in this far out space opera cartoon. The toys were super neat. 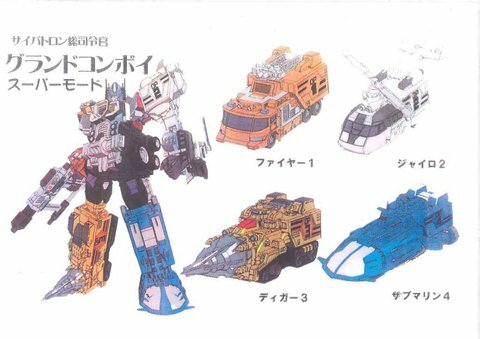 The Autobots from deluxe sized and up could almost all combine with each other in some way or another. The Deceptions from deluxe up mostly had an attack mode gimmick following in the idea that they were much more dangerous this time. The basic class of each faction had weapons that were essentially a building toy with parts for creating your own weapons. It was a super modular themed toyline that was fun to play around with. I still remember waiting after the new product panel at OTFCC 03 for the toys to arrive on shelves. Armada had finished and it's last figures were still on shelves with the first incarnation of Universe. Christmas shopping season had rolled around and as usual, during the rushed restocking, the new Energon figures found themselves on shelves just before Christmas day. I had just gotten off work and was grabbing the new toys at my local Walmart. I had my lanyard with work id badge on still with a BotCon Europe t-shirt on. That's specific, because that shirt had an autobot symbol on the left side of the front and the art on the back. Being winter, I had a jacket on. So here I was holding new toy boxes and reading the back when various parents started asking me about the various Transformers toys. Being a nice person, I tried to answer all their questions as polite as I could. After a bit I took my toys and left as soon as I got an opening from all the questions. They thought I was a product rep.
Good thing I was in a good mood. I can only imagine what could have happened if I was grumpy or something. That potentially could have been hilarious. 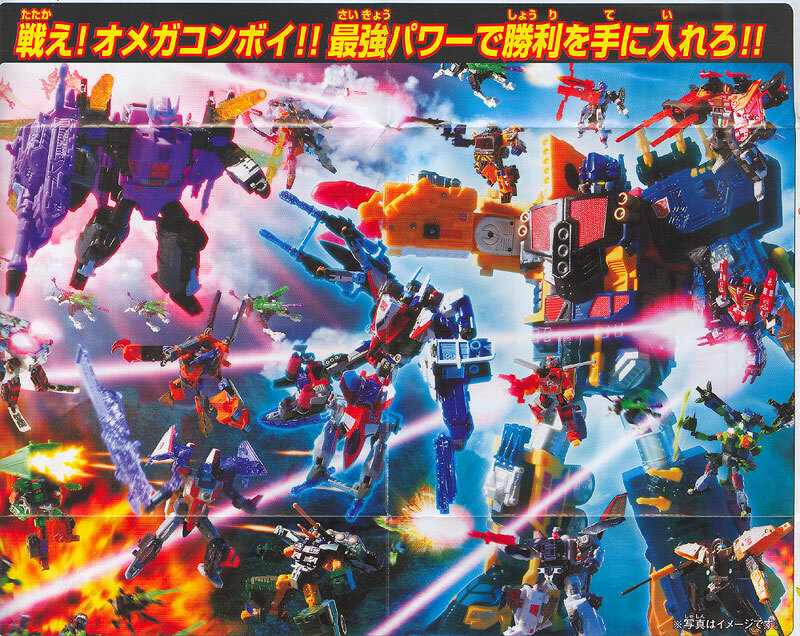 Energon and it's Japanese counterpart Superlink was around during the 20th anniversary of Transformers. Which at the time seemed unreal, can you imagine it's really been 20 years (mind you, we're approaching the 35 anniversary pretty soon)? At the time Masterpiece first raised it's head with a showcase figure intended to celebrate the 20th anniversary of Transformers (which in turn became a successful line in it's own right). 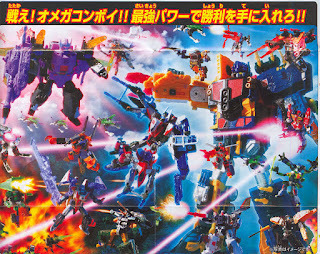 However as not only Transformers was celebrating it's 20th anniversary, another related line was celebrating it's 30th. 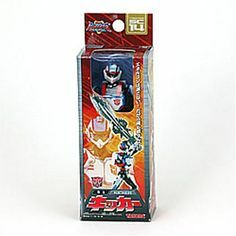 Microman, which several of it's molds were used for Transformers in those early years was turning 30 in 2004. In Japan, a special figure pack was released to commerate the occasion. A Superlink gift set featuring a deluxe sized Optimus Prime (with wonderful chrome) and a Microman version of Kicker (the human companion of the Autobots at the time) in his trademark armor, also with wonderful chrome). The two pack was a nice set and while I wanted it, I had learned that the smaller Optimus was to come in a set with the smaller Japanese version of Megatron in a Toys R Us exclusive gift set (sans wonderful chrome). The Kicker was also released as a stand alone Transformers edition Microman (also without wonderful chrome). So I bought the standard Kicker and held off for the TRU set. Figuring I'd save some money and also get that Megatron. In hindsight I should have got that set, just for the special edition-ness (and wonderful chrome). A few years prior, I had really gotten into Microman/Micronauts and was in heaven with the newer (at the time) Microman toys as well as the Palisades recreation Micronauts toys. The Microman Kicker wasn't released as an American version, though Hasbro did release a Kicker using GI JOE engineering and giving him a scale version of the High Wire Mini-Con to ride. Which was a cool toy in it's own right. 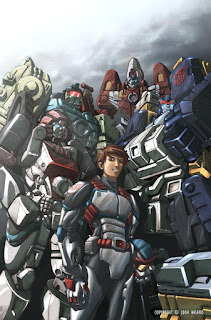 By the time Energon/Superlink reached it's end, I was ready for the next series : Cybertron/Galaxy Force. It had been almost 2 years and time for something new. The comic had ended early due to the bankruptcy of its publisher and while I did enjoy the cartoon, the tail end was very hard to enjoy (that's a nice way of putting it). Looking back though, I can only remember all the fun had with the series and how much as a whole I enjoyed it. The Unicron Trilogy as a whole was a very good time for me in Transformers, with each component being great in it's own right and own way. It's something I'll always have enjoyed while it was going on and look back fondly on despite how much hate it gets from others​.